A little messy after making just two cards! Hmmm ... I better get on and start clearing that up! LOL .... That's what my craft room looks like all the time Michelle! messy is creative ;) Love all those marker pens, so colourful. 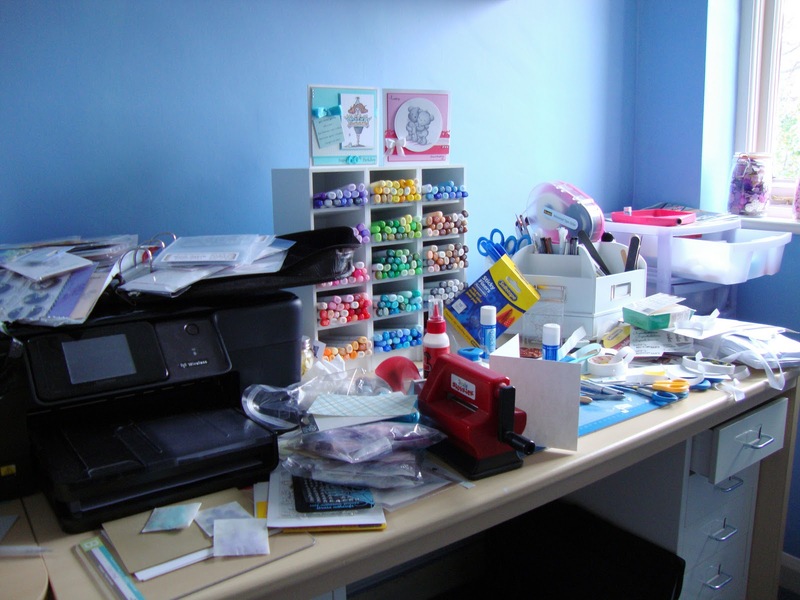 Hi Michelle, love the crafty space especially the copic storage, just wondered where you got it. Looks normal to me hun! Is that a pink ATG gun I spy in your carousel?? Is it any good and do I NEED one?!? Love the marker storage, got myself 2, now I just have to fill them up. What a lovely crafty space you have. I love the blue walls, so cool and serene. Your pens look great, so organised and to hand. Uh-oh, I feel marker envy coming on!